It's not so long ago that competing with Yoann Gourcuff for a position was a daunting challenge, but when the Frenchman's effect on Lyon dipped due to injury and loss of form it afforded an opportunity to yet another talented young French midfielder. Clément Grenier stepped up when Gourcuff got injured and really made a name for himself before picking up an injury of his own while on duty with France's Under-21 side. He signed professional terms with Lyon in 2008 and made his debut in 2009, but has generally been allowed to develop naturally rather than hothoused. Nevertheless, by last spring Grenier was respected among Lyon's fans as an option in midfield after putting in some excellent performances. His consistency was questioned by supporters last season, but has been praised since the summer break as he forms part of an evolving and improving l'Ol midfield. Arguably at his best alongside Steed Malbranque and Maxime Gonalons, Grenier has been part of coach Remi Garde's shuffling of options in the middle of the park this season. The 21-year-old has been used as both a substitute and starter, playmaker and lynchpin. Lyon have played a 4-2-3-1 and a 4-4-2 this season, both formations that rely heavily on a balanced midfield that supports its attackers and protects its defence. Grenier has become a useful part of that, despite being absent for the lion's share of October after picking up an injury in France's Under-21 UEFA Euro 2013 qualifying playoff first leg against Norway. He's represented France at every level between Under-16 and Under-21, where he made his debut in the Euro 2013 qualifier against Latvia - he made two starts and came on twice as a substitute before his injury, and his step up into the team ill-fated qualifying campaign is a deserved reward for a player who now finds his route into the senior team guarded by an enviable array of midfield stars. 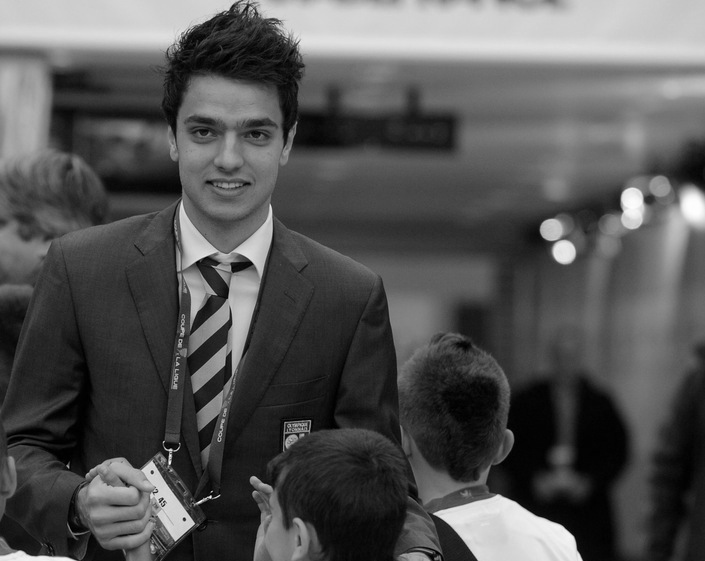 In 2010, Grenier was part of the young France squad that won the UEFA Under-19 Championship. He played 237 minutes in the group stage before missing out for the rest of the competition. Grenier is a player with much to offer in spite of his slightly clumsy-looking, lolloping gait. He has good vision for a pass, often of the killer variety, but they don't always hit the target. His distribution is crisp and elegant over short distances but not always effective when going longer. Like so many young playmakers he'll need to work on his consistency. What sets him apart, though, is that he is not frightened to make mistakes through his own ambition. He's a promising playmaker - and he is much more a playmaker than a traditional attacking midfielder, and has been deployed by Garde in more than one midfield position this season alone - but he's not quite the finished article. He keeps the ball moving, shows for the return, and takes a more than passable set piece. For all the potential, the rawness in Grenier's game is perhaps its most notable characteristic. But 2013 could see the young midfielder show us all exactly what he's really made of.